The heart of Dravidian culture, Chennai is considered to be an artist’s paradise. The Tamil culture is filled with literature, dance and history which translates into magnificent architecture, fascinating museums, all surrounded by a refreshing sea breeze. Here’s some of our favorite things to do in Chennai, or Madras as it was know in colonial times. 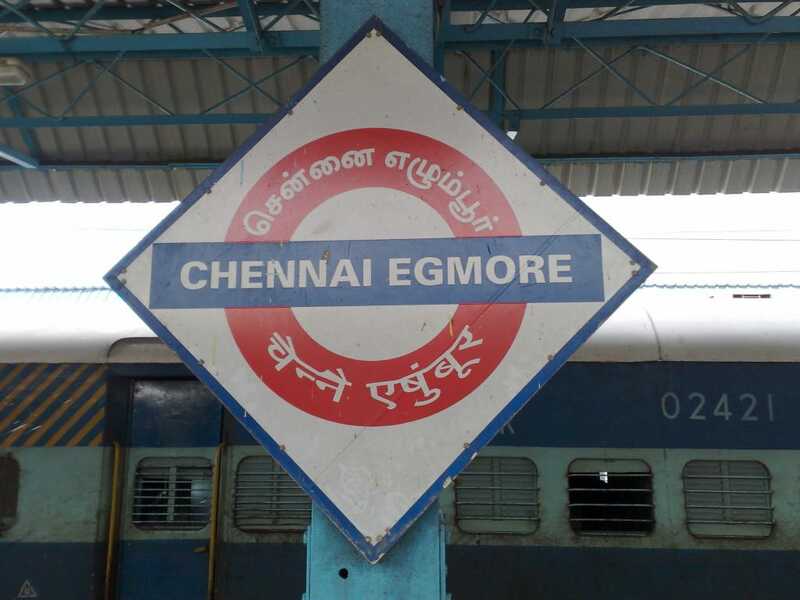 Near the centre of the city, Egmore is home to some of the region’s finest art galleries, museums and historical buildings. The Government Museum has an impressive collection of South Indian art and Bronze statues. Nearby the National Art Gallery is one of the country’s oldest, and is a beautiful red stone building in the Indo-Saracenic style. While the gallery is currently being renovated, many of its artworks are on display in the Government Museum. This includes rock wall art, North Indian miniatures and of course famous works from the South including paintings in the Tanjore style. The region of Mylapore is believed to be the oldest part of the city. There are whispers of Roman and even Chinese artefacts being found here, giving a hint of the area’s colourful history. But the main reason to visit Mylapore is to see the Kapaleeshwarar Temple. Built in the 7th century, it is here that Lord Shiva is believed to have been more than a little cheeky. He transformed his consort Parvati into a peacock and demanded that she worship him. The trick paid off and the temple was constructed to commemorate the event. Take yourself back to the era of the British Raj at Fort St George. Built in the 17th century, the fort is best explored on foot. With churches, colonial houses a bustling bazaar. Nicknamed the Westminster Abbey of the East, the most famous church is St Mary’s. It was built to withstand cannonballs making it a popular refuge point during battle. Inside the church are some rather interesting, albeit macabre tombstones and paintings. Nearby are the crisp white pillars of Fort House that is the modern day seat of parliament. Next door is the Fort Museum that houses a wide range of artefacts from the time of the Raj, including weapons and coins. Another notable building is the High Court, that blends the best of Gothic, Islamic and Hindu architecture. With its bulbous white domes and brilliant red facade, you can’t miss it. Visitors are allowed into the entrance of the building where they can marvel at the brilliant stained glass windows, frescoes and silver panels. The area surrounding the Fort is called George Town, once the wholesale trading centre of town. Today it’s trading of a different type that goes on here, with local shopkeepers selling everything from flowers and spices to electrical and household goods. It’s a great place to try your hand at bargaining. A trip to Chennai is simply incomplete without picking up one (or five) of the finest Kanchipuram silk sarees. T-Nagar is the main shopping destination, and some of the most impressive designs can be found at Nalli’s and Pothy’s. Each store has multiple stories, so leave yourself plenty of time to take in the fun of sipping chai while hundreds of vibrant fabrics are pulled out for your viewing.